CIED project partners at the Centre for Energy Policy (CEP) at University of Strathclyde together with Climate XChange recently held an event ‘How Scotland could make the most of its energy efficiency policies’. Hosted by the Scottish Government, the event presented insights from recent CEP research, including work on household energy efficiency and rebound effects. Following an introduction by Scottish Government’s Chris Stark, the programme commenced with a discussion, led by Lisa Ryan of University College Dublin, on the multiple benefits of energy efficiency – including positive impacts on economic growth and human welfare. This was followed two senior researchers at Strathclyde: Karen Turner, Director of the Centre for Energy Policy who presented on industrial energy efficiency and productivity-led growth and Simon Gill on the energy supply industry. Energy efficiency in housing was a main theme of the afternoon and included a discussion on the uptake and implementation of efficiency measures, particularly among elderly people and vulnerable groups. A number of insights were gained from the presentations and subsequent discussions. Firstly, that the IEA concept of multiple benefits is highly relevant to the Scottish Government’s National Infrastructure Programme in terms of considering both social and economic returns from increased energy efficiency. Secondly, that because many of these multiple benefits share the same trigger as rebound (reduced cost of energy services), rebound effects from energy efficiency constitute a side effect of a ‘good thing’ and do not undermine the case for policy measures to encourage improved energy efficiency. Rather, losses in potential energy savings from rebound need to be taken into account – and greater efforts may be required to achieve a particular level of energy savings. But if these investments are cost-effective, the accompanying economic and social benefits should be greater too. Another insight was that inefficiency could be ‘a good thing’, or at least an acceptable trade-off, when we consider electricity supply. Energy inefficiencies in energy supply are unavoidable. They are a consequence of converting energy into useful forms and moving it to where we want to use it and this problem is amplified when our aim is really to reduce CO2 emissions. This is because low carbon generation sources are often located in dispersed and remote areas. The move to renewables makes running the power system a more complex problem, and one in which electrical losses â”inefficiencies in the traditional sense – will likely need to increase in order to achieve our overarching objective of decarbonisation. Finally, the question remains why Scotland (alongside other nations) is underperforming on the uptake and implementation of energy efficiency enhancing technologies in light of what seem to be obvious benefits? Is this to do with culture, values, split incentives, insufficient recognition of the wide ranging and multiple benefits, or the fact that many of the benefits are not being captured by those responsible for making the investment. In this context researchers working on energy efficiency need to consider how to apply research findings in designing energy efficiency policy in general and the National Infrastructure Programme in particular. This requires partnerships, understanding, more evidence of multiple benefits and communicating this at a high level. The research team at Strathclyde are currently modelling economy wide rebound effects in a two-year EPSRC-funded research project linked to the Centre on Innovation and Energy Demand. Initial results will be available soon and are expected to show the importance of considering ‘negative rebounds’ when energy efficiency improvements lead to a shift away from spending on electricity, gas and/or fuel use and towards less goods and services with less energy-intensive supply chains. 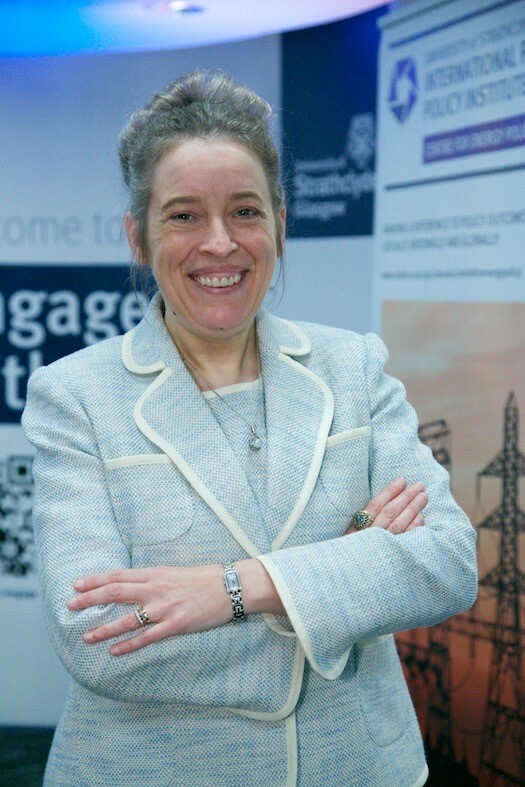 Professor Karen Turner is Director of the Centre for Energy Policy at the University of Strathclyde -) and is leading a two year research project linked to the Centre on Innovation and Energy Demand on ‘Energy Saving Innovations and Economy Wide Rebound Effects’.